When Blake Lively wears a trend to a French museum, you know it’s about to blow up. We’re talking about the sheer skirt, which has made its way back to the runway and is more versatile than ever before. Fashion month played up the sheer skirt to max levels. 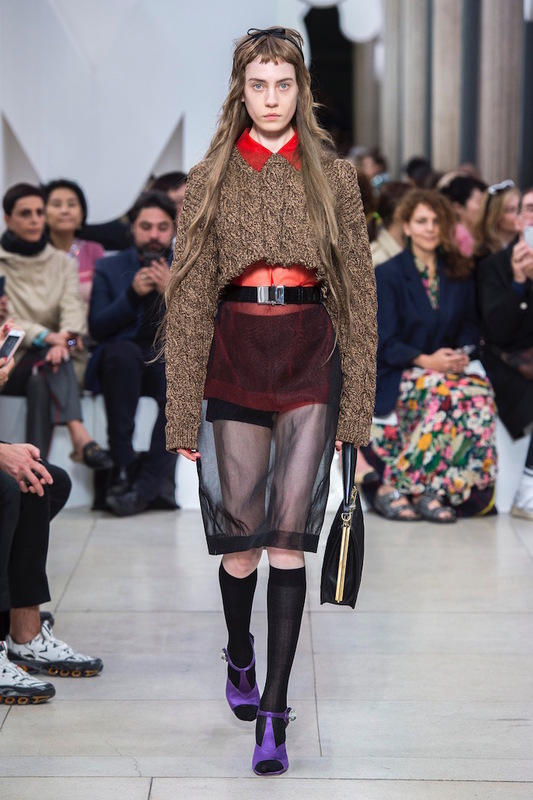 While the Christian Dior Cruise 2019 show made the clear skirt a fearless emblem of its powerful and literally stormy—rain poured down on models who walked around an open manège—show, Swiss label Akris featured it in pleated form. Although mesh skirts have been trending for a while now, the sheer skirt is a more subtly sultry spin on open-panel fashion. The delicate layering makes it slightly more formal, but it also pairs well with a casual tank or T-shirt. Dior Artistic Director Maria Grazia Chiuri’s spring collection celebrated the enigma of contemporary dance with floaty tie-dye and kaleidoscope prints. The sheer skirt made for a very successful tie-in to her theme. The cruise collection that took place at the Musée Vivant du Cheval à Chantilly just outside Paris was the perfect setting to bring back sheer bottoms as romantic texture. The sheer skirt with visible shorts is perhaps the most widely-loved statement this season. Millennial icons like Aimee Song and Caroline Daur made it a point to show off theirs this fashion week. And while wearing hot pants under see-through fabric doesn’t sound like the height of elegance, the gauzy, delicate fabric of sheer skirts somehow hits the right note, making a classy, yet edgy statement. But the sheer skirt is about much more than showing some leg. Chinese fashion designer Lan Yu featured a two-tiered sheer skirt with a solid lining at New York Fashion Week, whereas Miu Miu went all out with a heavily sequined range of sheer skirts. There is no bad way to wear a sheer skirt. You can pair it with the simplest camisole or your tried-and-true leather jacket. Tennis shoes or your fanciest heels both serve this look well. Miu Miu’s use of midi sheer skirts with high socks and visible shorts shows that there is no wrong way to wear a sheer skirt.